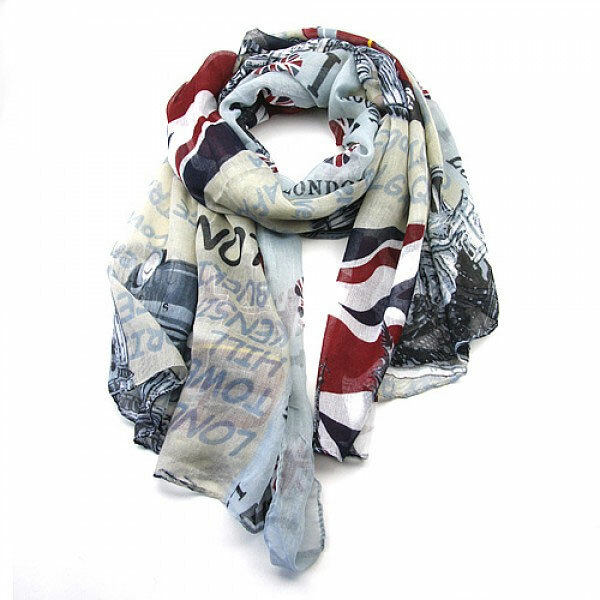 An attractive scarf with images of London landmarks - St. Paul's, the Houses of Parliament and Tower Bridge; taxis, red London buses and the Union Jack. 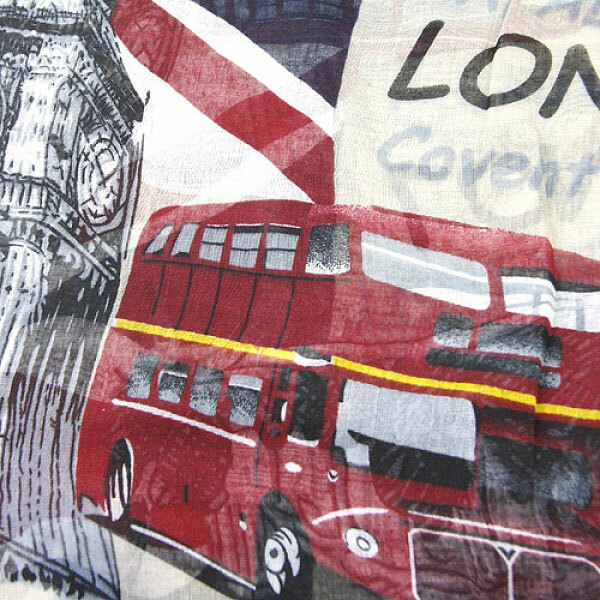 Along 2 sides of the scarf is "I Love London", the word 'love' being depicted by Union Jack hearts.The principal background colour is a cream beige, with the imagery in a pale blue, black, red, navy blue and a touch of yellow. The scarf is made from Polyester. Hand wash separately.